We have continued to work with a number of parties who are looking to make acquisitions by leveraging the assets of the target company that they are acquiring. This is a way to raise part or all of the purchase price to pay for the business that is being acquired. 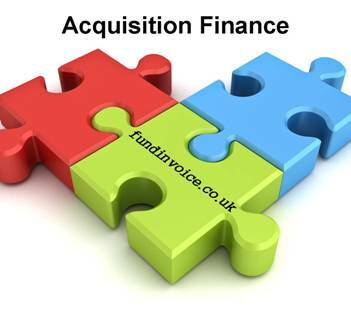 This methodology of raising acquisition finance is not widely known, but it can be an excellent way of facilitating the acquisition of a business without needing to put up all the purchase capital yourself. One particular example is within the construction sector, concerning the acquisition of a steel fabrication business. The target company has outstanding debts in respect of steel fabrication work that has been previously undertaken. These constitute a high value asset, which can then be leveraged if it is unencumbered, using receivables finance, to release a large percentage of their value immediately. Receivables financing companies are able to structure such arrangements in a way that allows the acquiring party to take over the business, and simultaneously use the assets in order to pay the purchase price. There may be other assets involved in a business purchase, such as stock, plant, machinery and equipment, or property - and all of these can potentially be subject to an asset based finance facility in order to provide further money towards the acquisition price. This is a methodology by which a party that does not have the cash on hand to make a purchase, can potentially acquire another business, retrospectively leveraging the assets of the target company. So if you have put off making a company acquisition, due to a lack of funds, you could consider using this approach in order to finance part or all of the purchase price.